HDR FX for the iPhone Photographers should really be getting a lot more attention! Over the last week, there has been a lot of press around Camera Awesome. 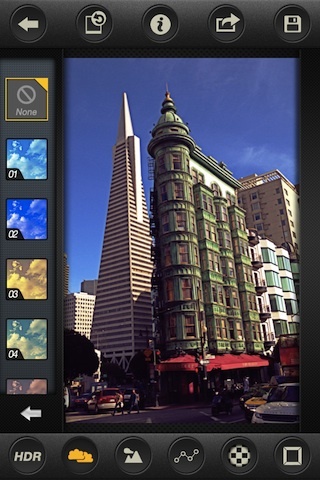 A free iPhone photo app that isn’t so free. Offering a sampling of features, then requesting 99 cents per grouping (10 groups) for more features. Since it is offered by SmugMug, the extensive extra charges isn’t being as negatively covered as it would be if it was an app by a smaller developer. 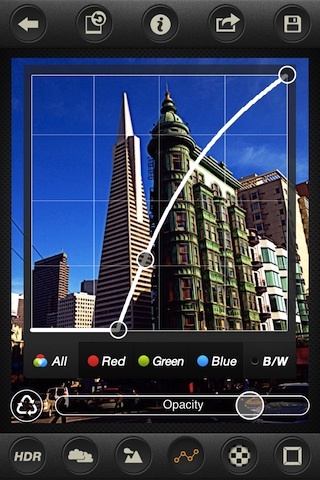 So, onto a positive iPhone photo note… a app that is 99 cents and that is all. Full of simple to advanced filters and many fine tuning options – no extra charge! It’s a quick, easy to use and inexpensive option that does what it claims it will. 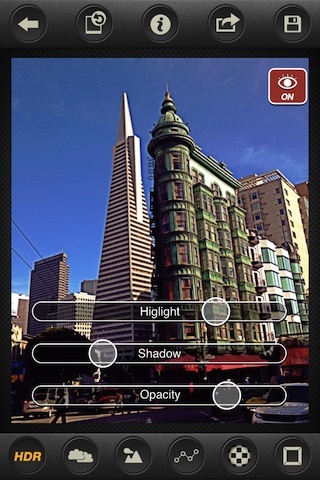 The app, HDR FX, accepts taking a picture through it or bringing an image in from your iPhone’s photo library. 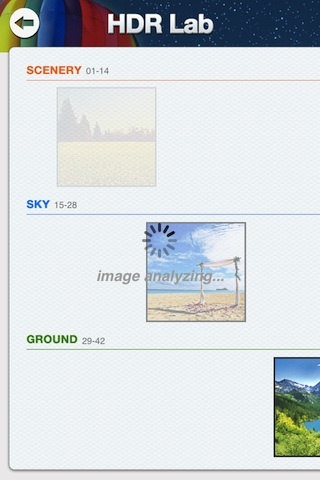 Cropping options are first, then the app does an analysis of the photo. Full disclosure – if I could have one feature added it would be to allow the focus and exposure to be set separately when taking pictures through HDR FX like many other ‘all-in-one’ apps provide. When HDR FX has reviewed the image for a few seconds, it comes back with all of the 42 included filters applied for your quick reference. The analysis results in a few having ‘stars’ as filters that seem to work best with the image your working on. After you choose a filter (if you don’t like one, hit the back button), the option to apply and ADJUST the HDR effect is provided. The changes you make through HDR FX do appear right away so you know if your headed in the right direction. Undo, save (full resolution!) and sharing is also supported. If you need to adjust the curve, there is that option too. 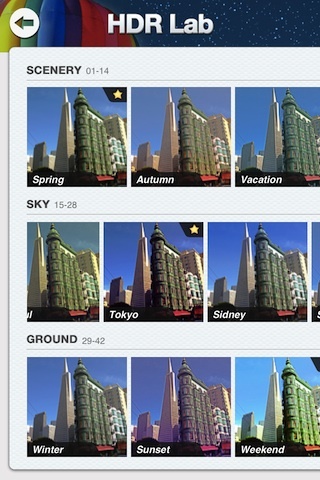 Adjustment/filters are offered in HDR FX to tune the sky and the ground. On both, you set the horizon via a draggable line, then choose the effect you want for the area. A great way to get my vineyard photos to be stronger colors on the field without causing the sky to go too bright. There are also textures and frames options to get the full impact you were looking for.